As we begin to wind down our residency in this vibrant Art Center of South Florida I am already beginning to feel the pangs of nostalgia. Maybe I can call it Pre-nostalgia(?). I have had my studio for just a couple of years here and as much as many locals have a disdain for the over commercialization of this road it does provide a lively atmosphere that serves as a great energizer for me. The studio I had before arriving here is now my sons bedroom. 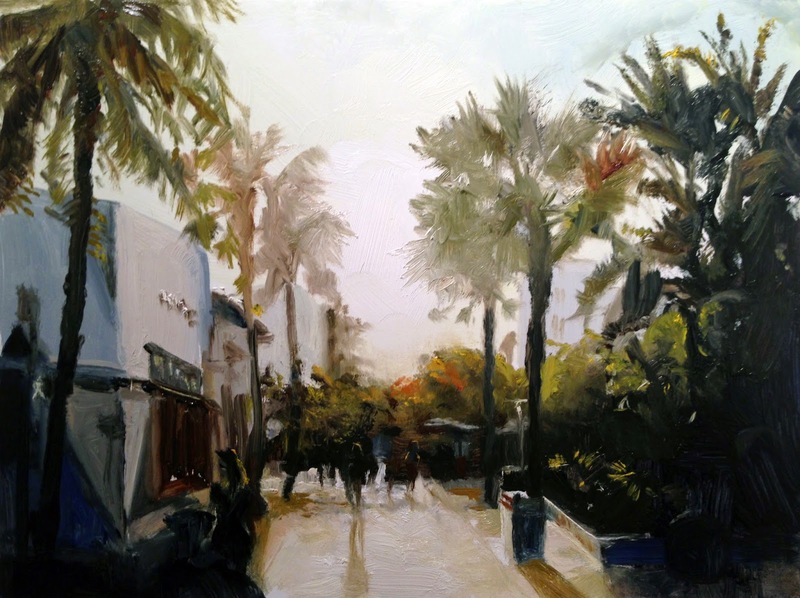 It is quite pleasant outside of there too but it is mostly populated with a quite suburbia that gives me the opposite feeling that I get from my Lincoln Road Studio. This (Pre) nostalgia has me eyeing this bustling walk way as of late. I hope you enjoy it.